The WHITE HOUSE 200th Anniversary Egg commemorates the bicentennial of the original President's House, a symbol of American freedom and democracy. The second President, John Adams, moved into the first official palatial White House in Washington, DC on November 1, 1800. The next day, he penned his famous benediction, quoted on this hand-painted porcelain egg. 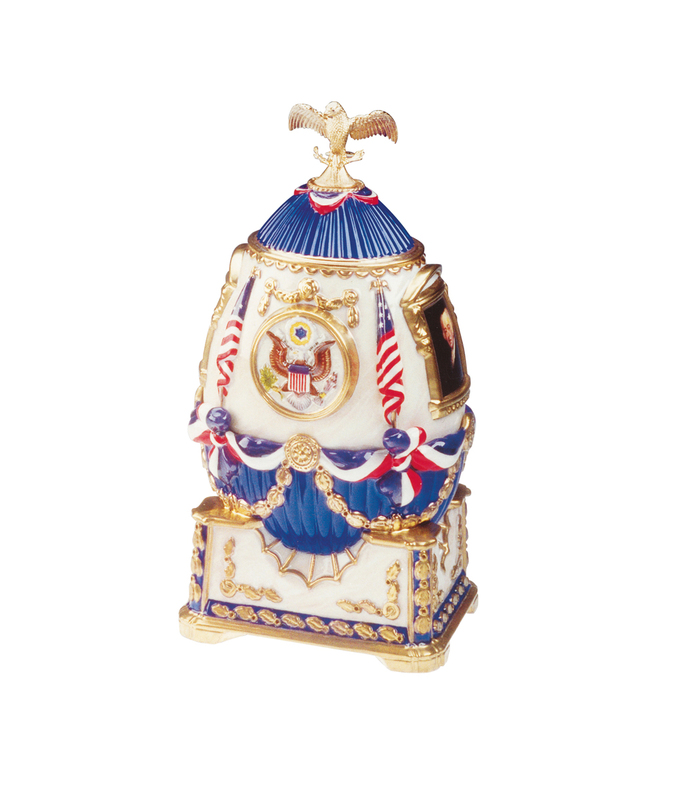 The front of the egg is embellished with full-colour, base-relief depiction of the Great Seal of the United States framed by portraits of John and Abigail Adams on each side. 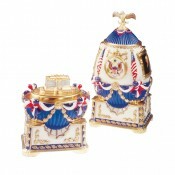 The egg is crowned with majestic American eagle in sterling silver and 24K gold. The eyes of the eagle are embellished with diamonds; the right eye of a white diamond views the olive branch of peace while the left eye of a black diamond looks towards the sheath of war arrows in its left talon. 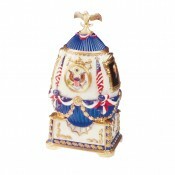 The egg is accented with four American flags from 1977, 1800, 1912-1959 and the current flag. 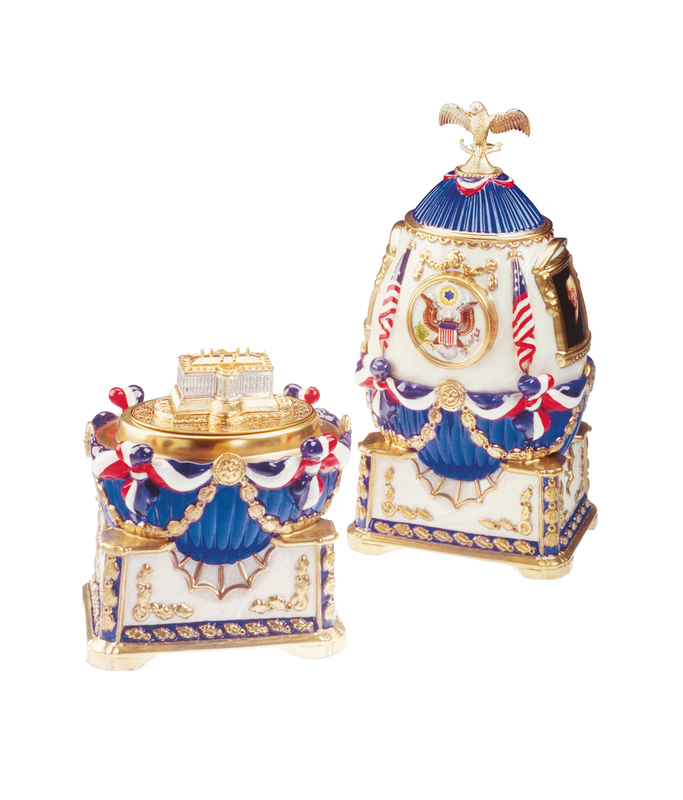 In the Faberge tradition, the egg opens to reveal the surprise of a miniature White House in sterling silver and 24K gold, set upon a base marking the historic dates of 1800 and the bicentennial year 2000.